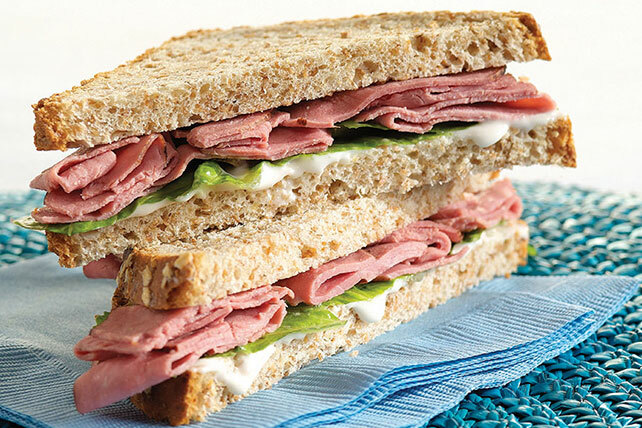 Roast beef, blue cheese dressing, a few romaine lettuce leaves and whole wheat bread: That's all it takes to make this hearty, flavorful sandwich. Spread 1 of the bread slices with dressing. Top with lettuce and meat; cover with remaining bread slice. Prepare as directed, using your favorite lettuce greens and/or KRAFT Light ROKA Blue Cheese Dressing. Toast the bread slices before using.